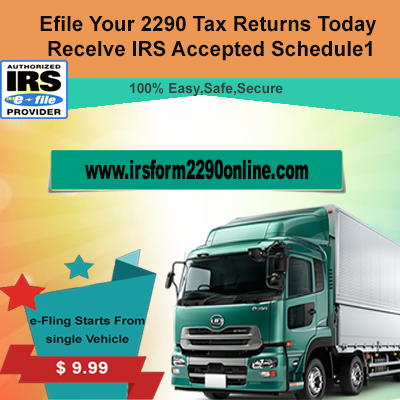 Form 2290 Filing provided by irsform2290online.com We offer different services for the customers through our site. One click E-File services are our specialty provided to customers. We will only look at customer satisfaction. 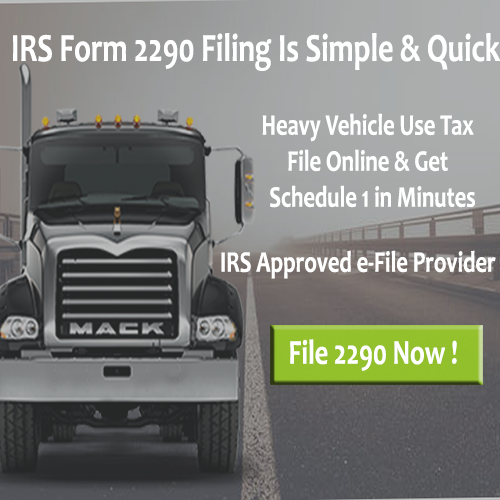 Our IRS Software is simply designed to help the customers to make their Form 2290 Online Filing easy & Simple. We also provide claim a credit option with Form 8849. Customers can easily File & Pay Heavy Vehicle Use Tax and also they can easily claim a credit from an IRS. 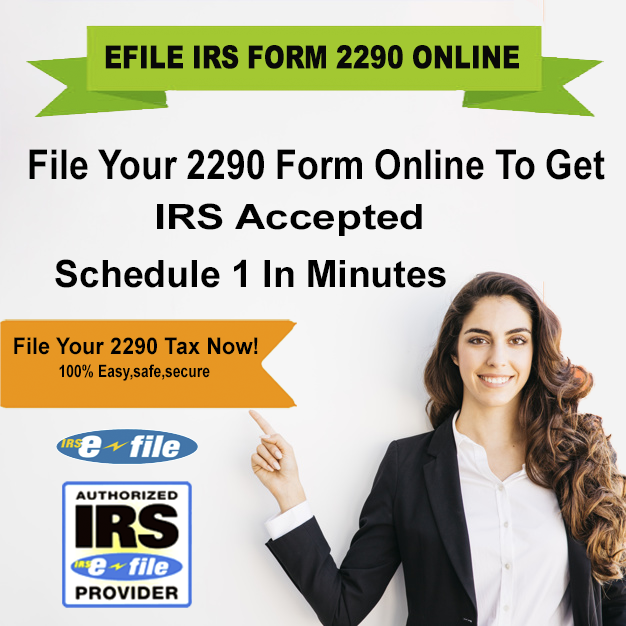 The Multiple Features for our customers to make their IRS Form 2290 Online easy and simple. We help the truckers to run their vehicles on public highways easily by providing IRS Schedule 1 easily. The highly experienced customer support team provide a quick solution for your queries. 24/7 we provide services of Form 2290 Filing. We provide backup of data that is if once you File with us then you need not to enter your details every time. All your details can automatically appear on your login. The whole Form 2290 Efile Process can also made by our support team if customers wish to file by us. Without any risk and mistake, filers can finish their 2290 Online Filing with us. Also, any customer need not to download and install software. We ourselves designed IRS Support Software for the sake of the customers. You can Contact Us by sending mail to [email protected] or call us with a number (316) 869-0948.